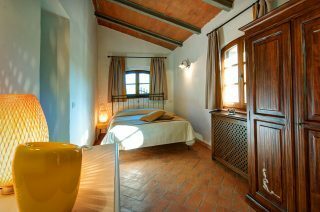 The suite is set into an old stable from the nineteenth century, characterized by classic arches and walls with natural rustic stone. 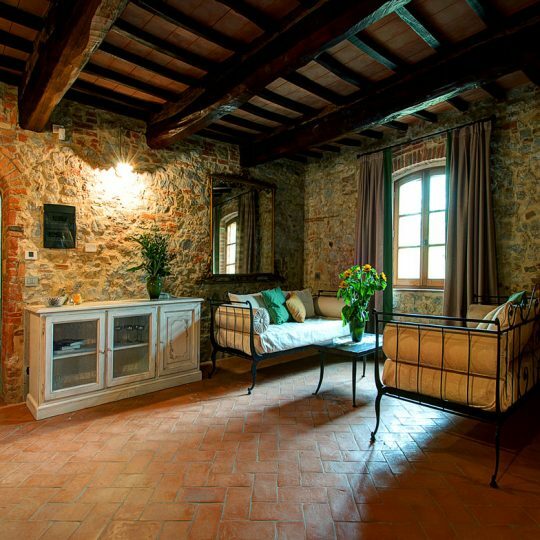 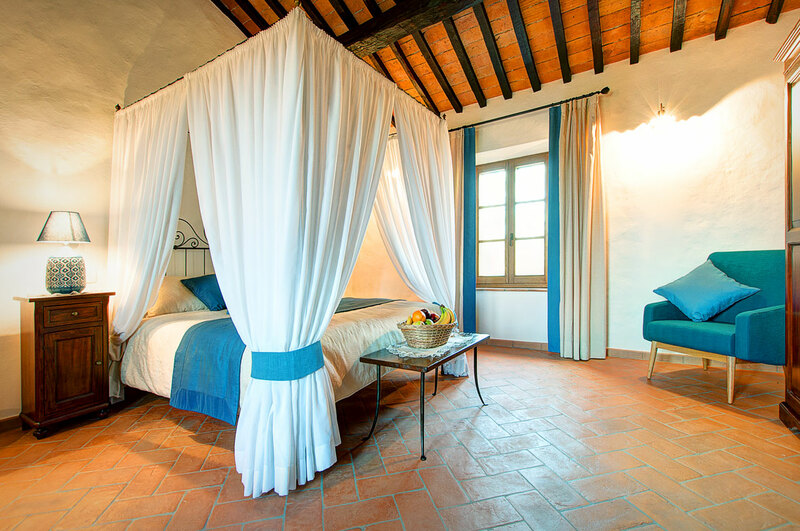 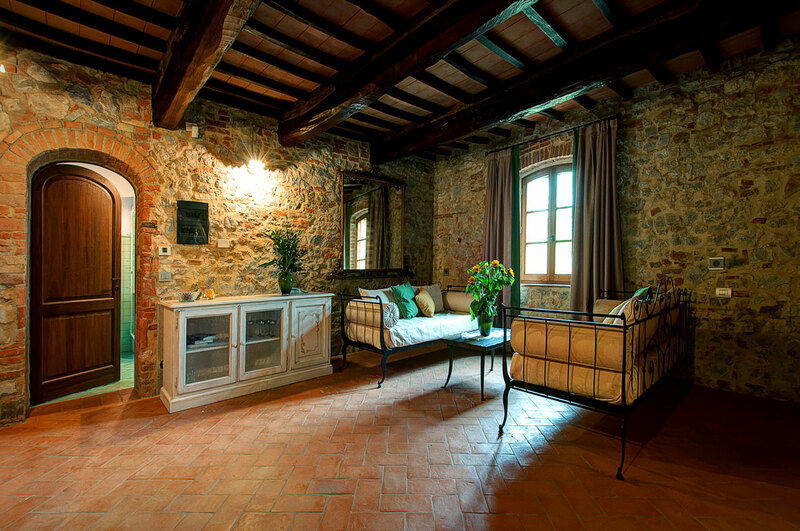 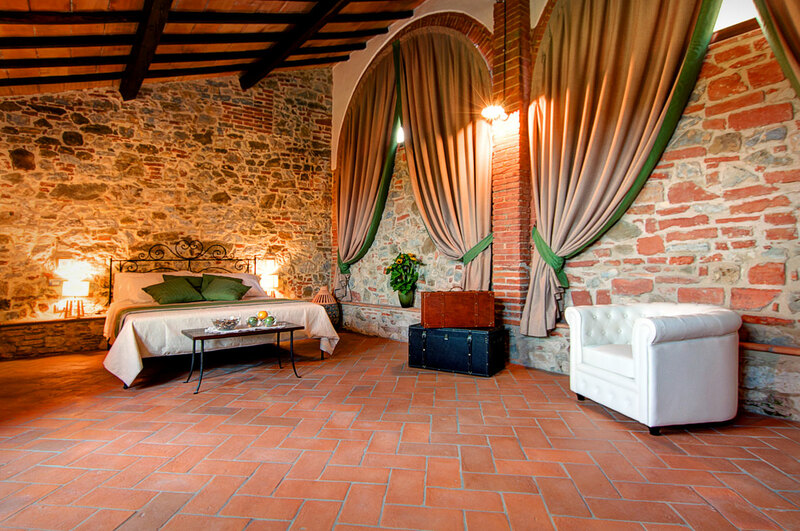 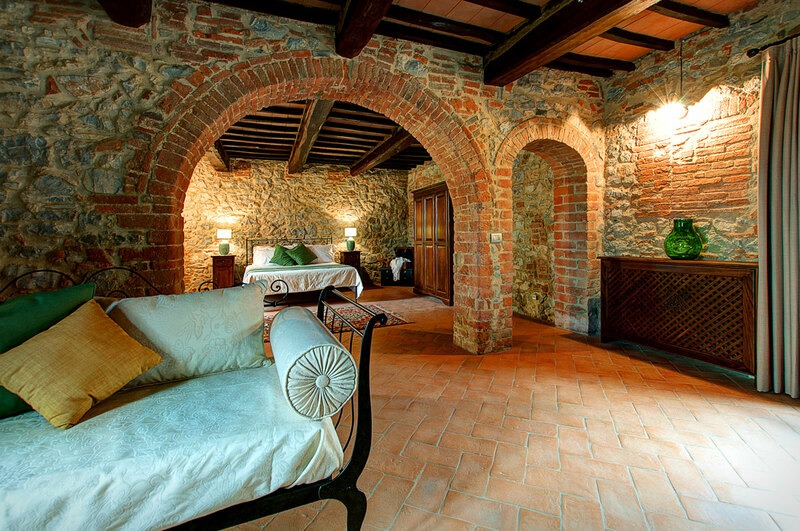 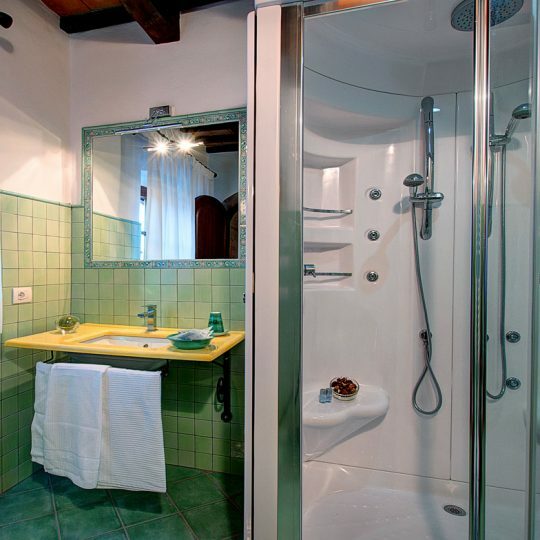 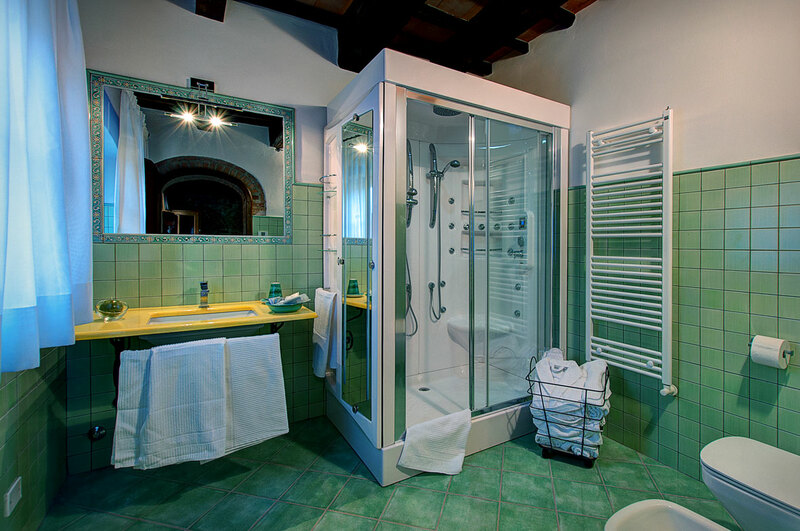 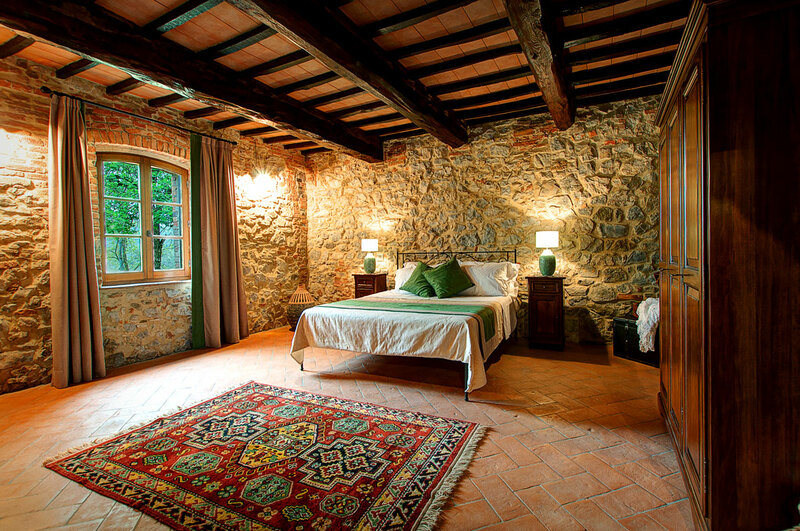 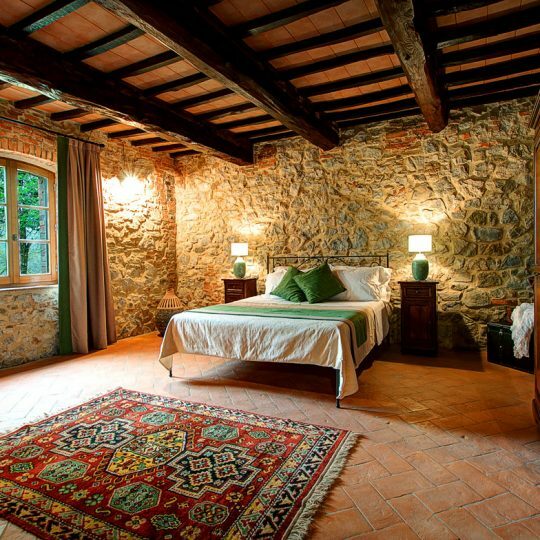 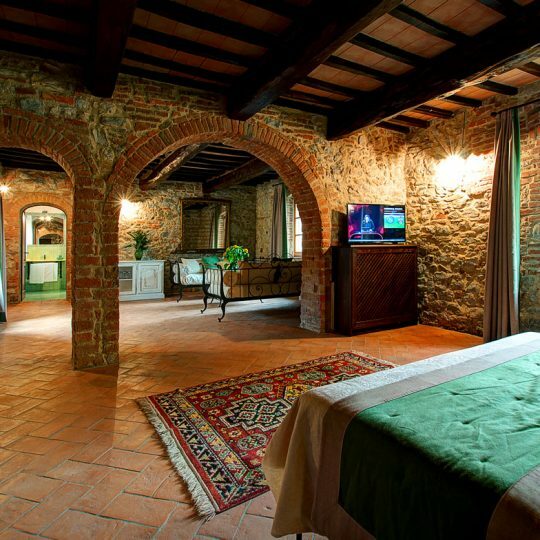 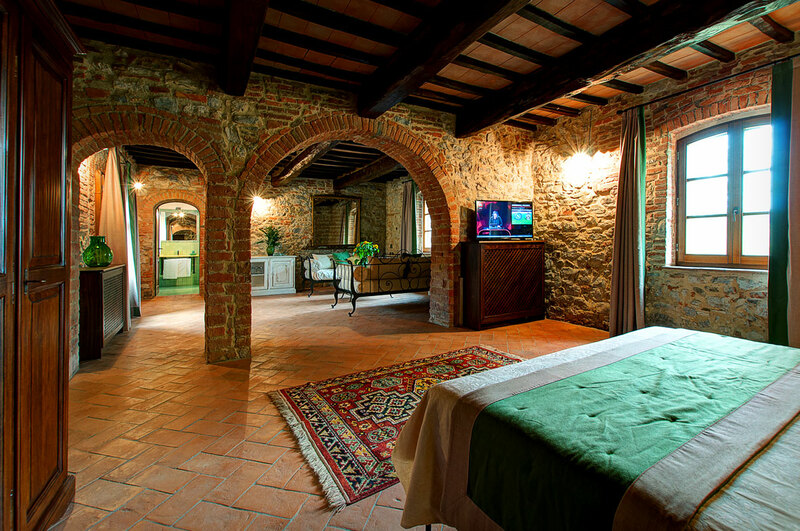 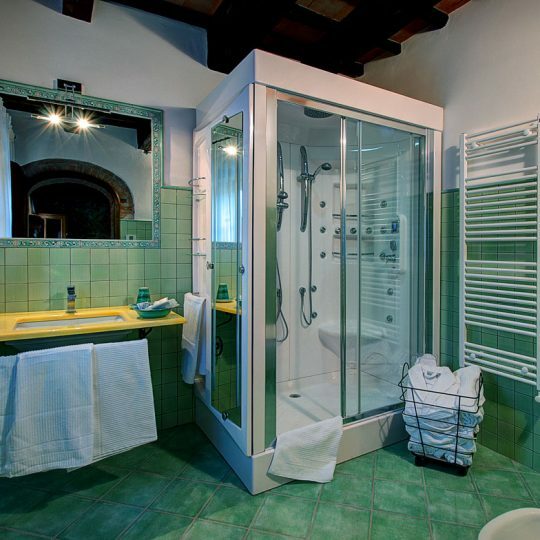 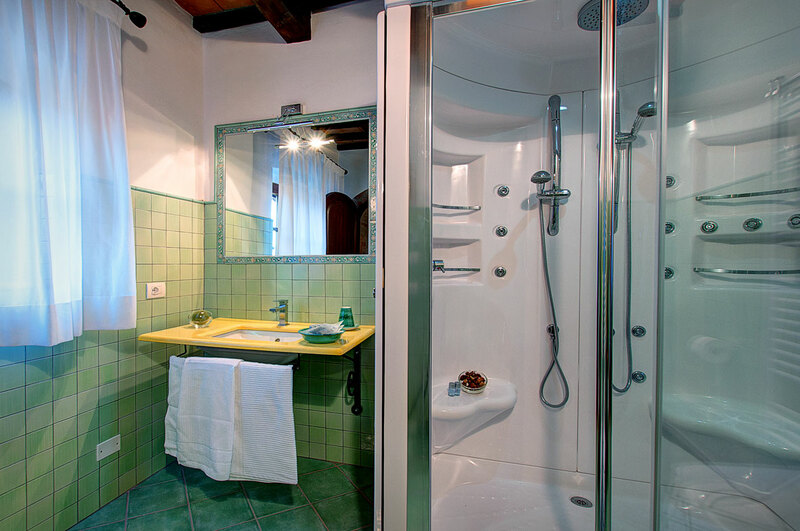 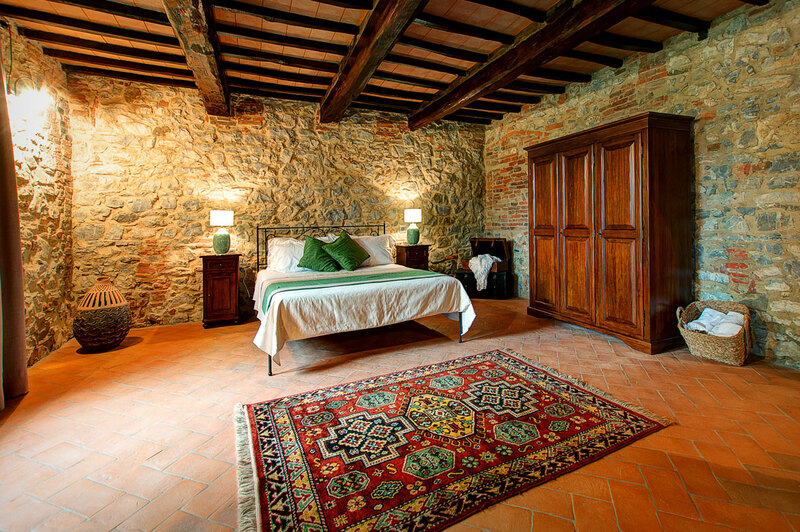 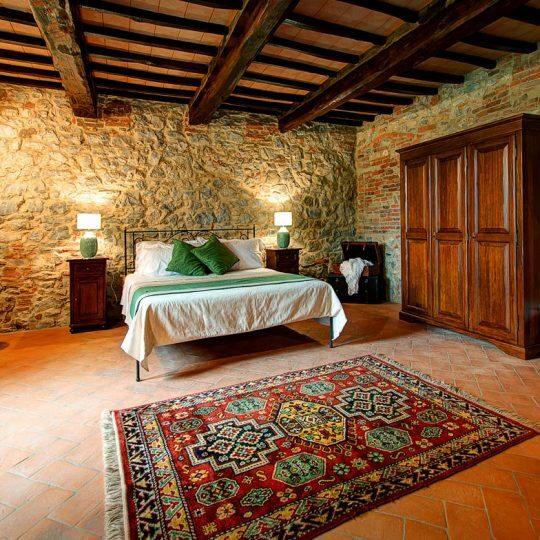 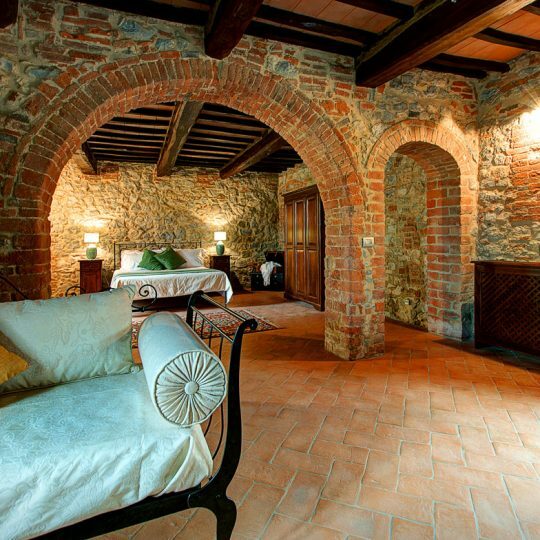 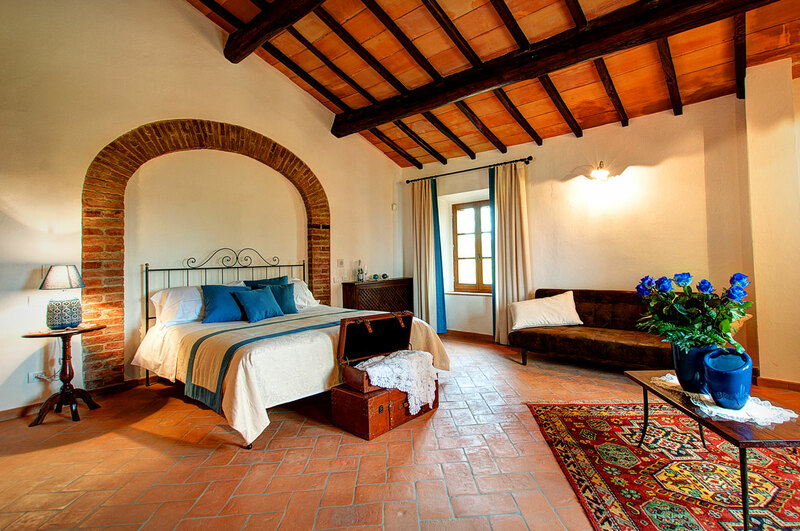 The bright and spacious ambience keeps the typical Tuscan structure, while having all the comforts of the modern life. 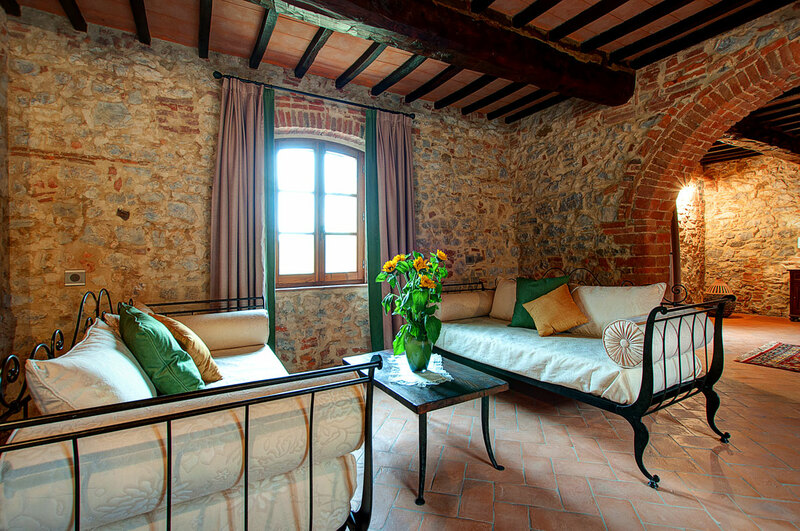 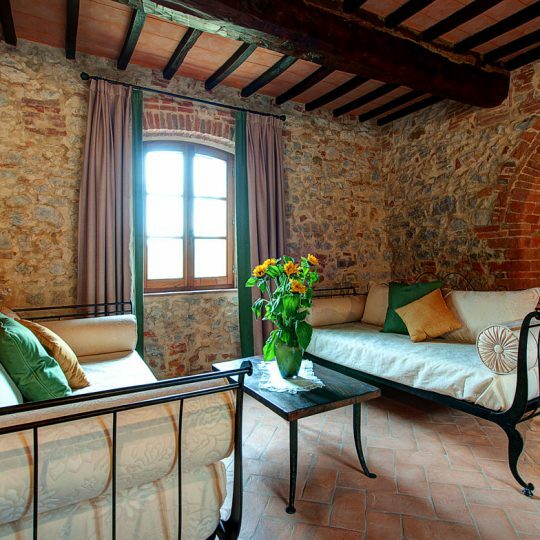 It is equipped with a double bed and two single beds, with an antique flavor of wrought iron for the family comfort.